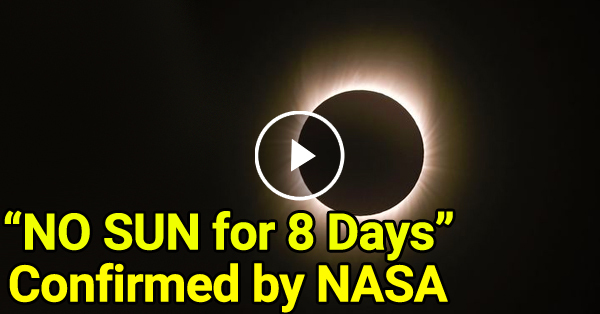 Netizens claimed that NASA confirmed that total darkness will happen on June 2016! Must Read! 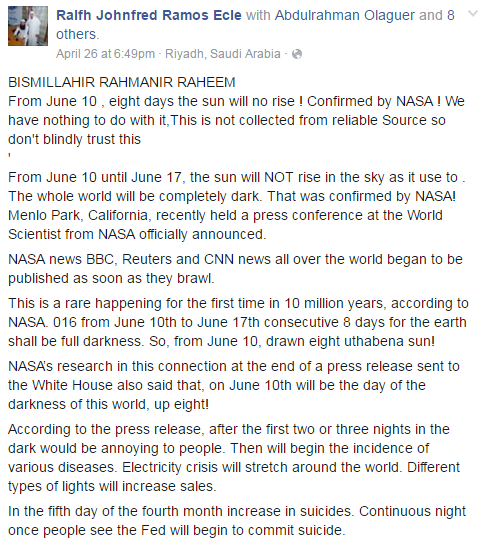 Home / News / Netizens claimed that NASA confirmed that total darkness will happen on June 2016! Must Read! A post about the gossip that there will be total darkness for 8 days has been making the rounds on social media sites. 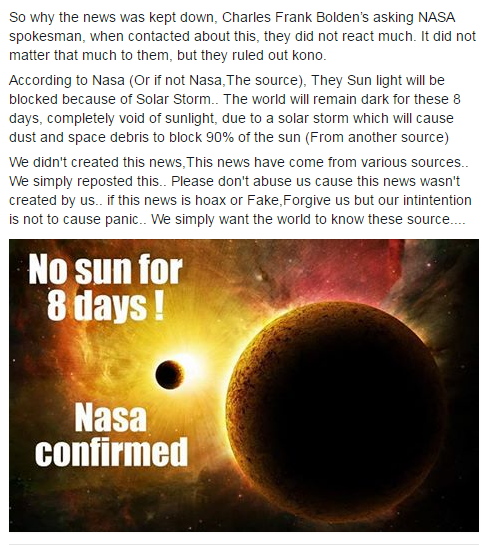 This started circulating when a man named Ralfh Johnfred Ramos Ecle claims that NASA finally confirmed that in the month of June 2016, there will be a total blackout whereas the sun will not appear for 8 days. The said statement immediately caught the attention of the social media users. The claims reports that the total darkness will happened on the period of June 10-17. On the post, it was also said that this is happening after 10 million years. But this is not the first time that news like this has been making the rounds online. NASA has not made an official announcement on the anticipated event. So this might be one of the hoax stories surfacing the net.